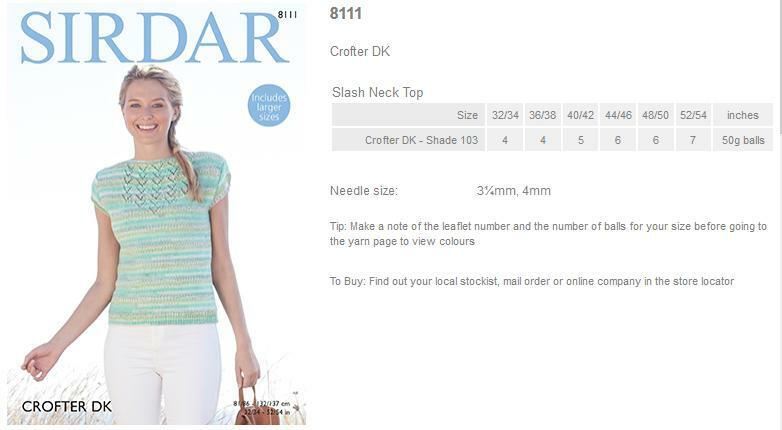 Leaflet with a design for a Slash Neck Top using Sirdar Crofter DK. 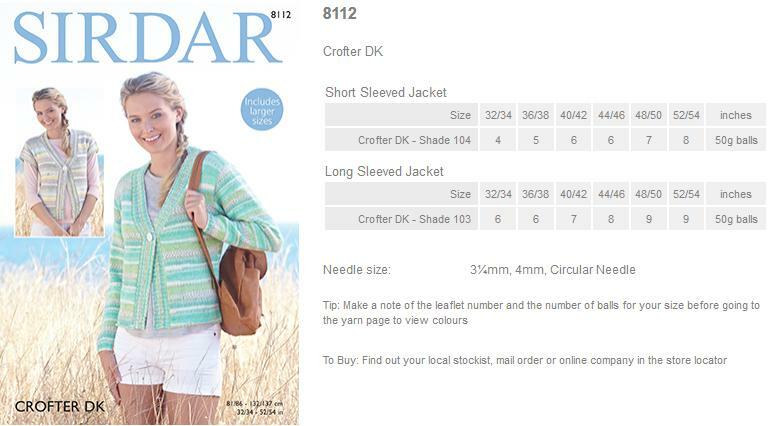 Leaflet with designs for Short and Long Sleeved Jackets using Sirdar Crofter DK. 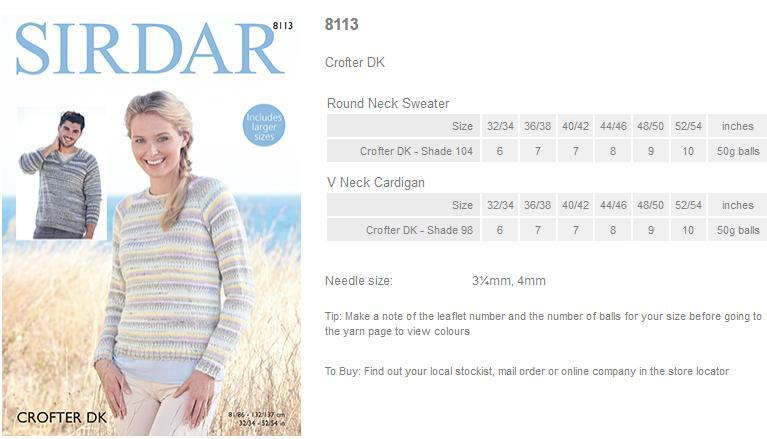 Leaflet with designs for a Round Neck Sweater and a V Neck Cardigan using Sirdar Crofter DK. 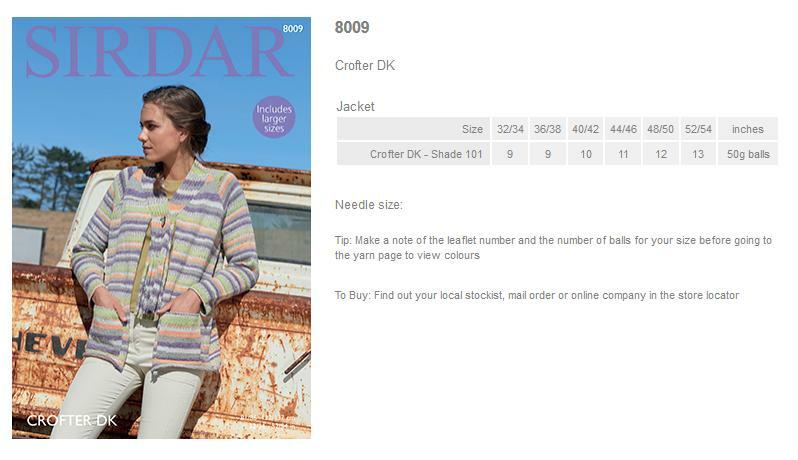 Leaflet with designs for a Cardigan using Sirdar Crofter DK. 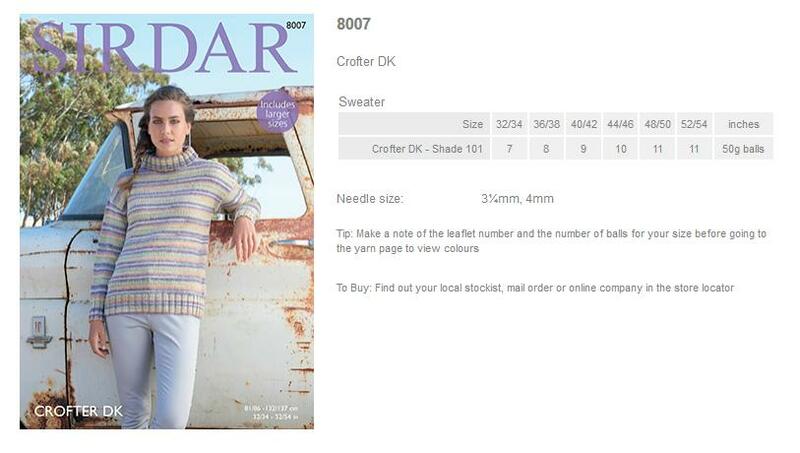 Leaflet with designs for a Sweater using Sirdar Crofter DK. 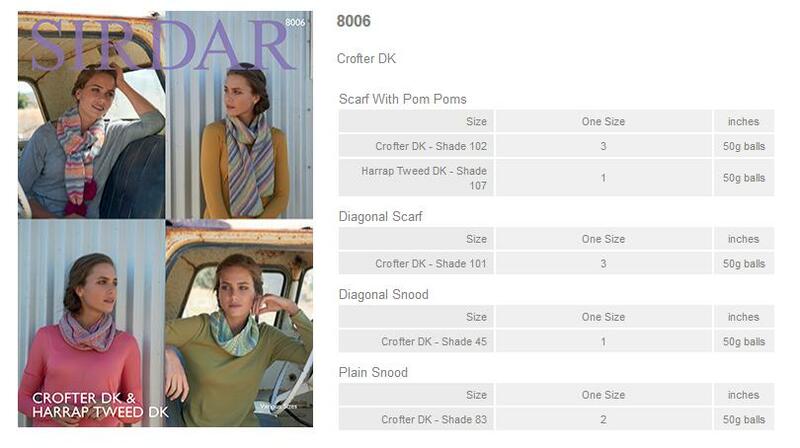 Leaflet with designs for Scarves and Looped Scarves using Sirdar Crofter DK. 11 hand knits for all the family in easy, fairisle effect Crofter DK. For our second Crofter DK book we have been inspired by the beautiful autumn colours of Scotland and by romantic days spent by the loch side. Pretty smock shapes for girls and easy knit sweaters for boys. Stunning little tank tops, pretty waistcoats and cardies for women and casual v-neck styles for men. We regret that this book is now out of print and have no more stocks. 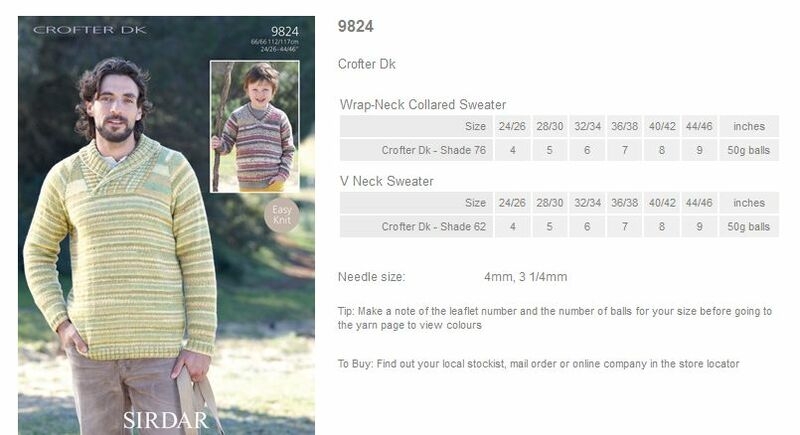 We will be happy to send a copy of any design (free of charge) with any Crofter DK yarn purchase. 16 designs for all the family in easy fair isle effect Crofter Dk. 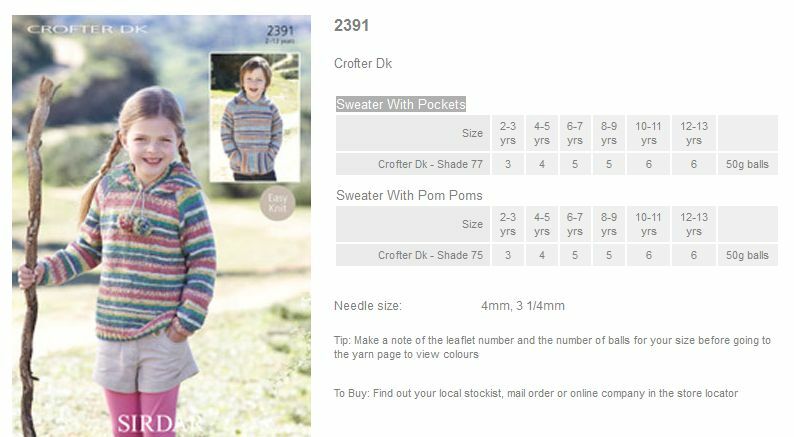 Leaflet with designs for a Sweater with pockets and Sweater with Pom Poms using Sirdar Crofter DK. 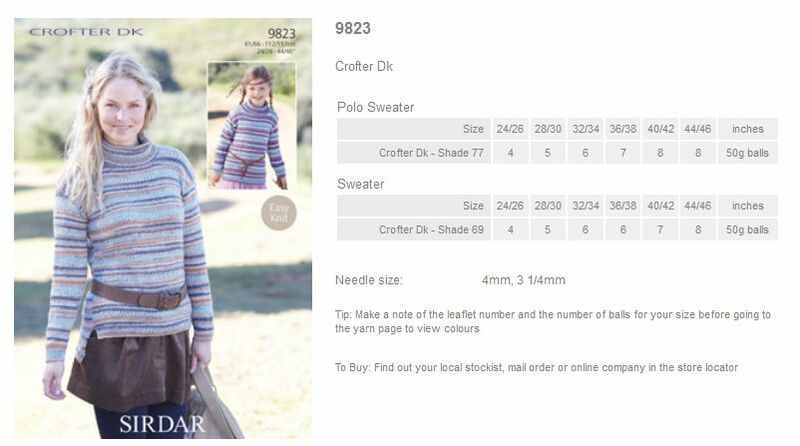 Leaflet with designs for a Polo Sweater and Sweater using Sirdar Crofter DK. 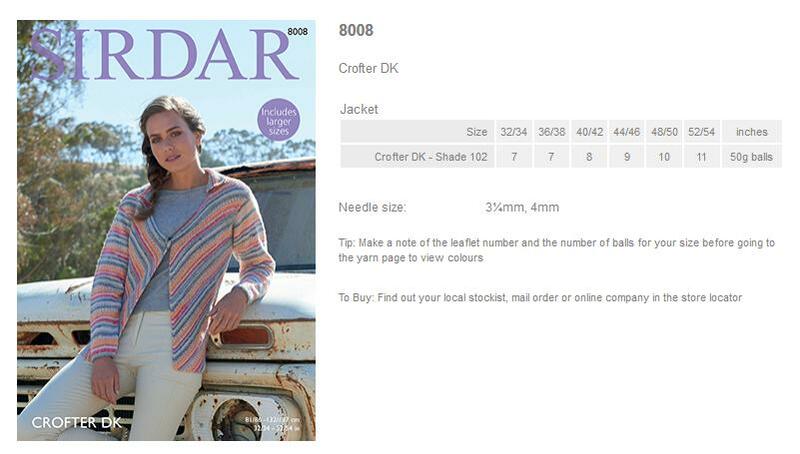 Leaflet with designs for a Wrap-Neck Collared Sweater and V Neck Sweater using Sirdar Crofter DK.